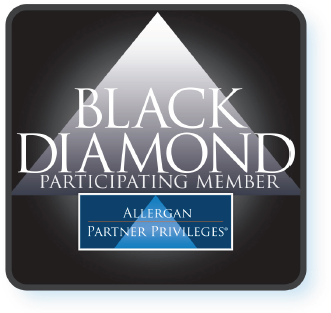 Sutton Aesthetic Center is proud to be a Black Diamond Level Provider of BOTOX®, their highest honor, in which only the top two percent of clinics receive nationally. Mrs. International, Maggi Thorne, discusses how BOTOX®/Dysport® helped her look and feel her best! All photos are of Sutton Dermatology patients. Facial expression lines are caused by contracting muscles beneath the skin. BOTOX® works by physiologically weakening the muscles that are directly related to facial wrinkles. BOTOX®/Dysport® injections are a safe and effective treatment for dramatically reducing wrinkles in the aging skin. Frown lines are “dynamic”- they happen because of the way a person’s face moves. Because frown lines are created by facial movements, such as frowning or squinting, they may develop even in younger adults. BOTOX®/Dysport® block the nerve signal that causes facial muscles to contract. This ultimately results in a localized reduction of muscle activity in the treated area and temporarily stops the tightening of these muscles. What are BOTOX®/Dysport® and how does it work? BOTOX®/Dysport® is a prescription medication (botulinum toxin) that is injected into muscles to temporarily treat moderate to severe frown lines between the brows of adults 18 to 65 years of age. It works by blocking nerve impulses to the injected muscles. This reduces muscle activity that causes those lines to form between the brows. Why should I consider BOTOX®/Dysport®? Years of squinting, concentrating, or frowning can cause your skin to furrow and crease. As time passes, your skin becomes less elastic and those moderate to severe frown lines between your brows remain – even when your muscles aren’t contracting. The moderate to severe frown lines between your brows that form are often referred to as your 1’s and may make you look angry and unapproachable. Although the results are visible, a treatment with BOTOX®/Dysport® will not radically change your facial appearance or make you look as if you “had work done.” The muscle activity that causes moderate to severe frown lines between the brows is temporarily reduced, so you can still frown or look surprised without the wrinkles and creases between your brows. Results have been shown to last up to 4 months. Your own results may vary- be sure to talk to one of our providers about what you can expect and when to schedule your next appointment. Results may be retained by repeating the procedure every three to four months. Discomfort is usually minimal and brief. The entire procedure takes less than 10-15 minutes. Many people are in and out without any downtime following a treatment. Will a treatment of BOTOX®/Dysport® affect my skin color? Men and women of varying ethnicities and skin types have been successfully treated with BOTOX®/Dysport®. Because it works only on the underlying muscles, there’s no concern of it affecting your skin color or texture. What are the possible side effects of BOTOX®/Dysport®? BOTOX®/Dysport® can cause serious side effects that will be discussed with you before you procedure. Some side effects include: dry mouth, discomfort or pain of the injection site, tiredness, headache, neck pain, and eye problems such as double vision, blurred vision, decreased eyesight, drooping eye lids, swelling of the eyelids and dry eyes may occur.